One of my favourite things about Singapore is the food. Not only the taste and flavours but the array of cuisines they have and that it seems to bring everyone together. Singaporeans seem obsessed with food, which I love. 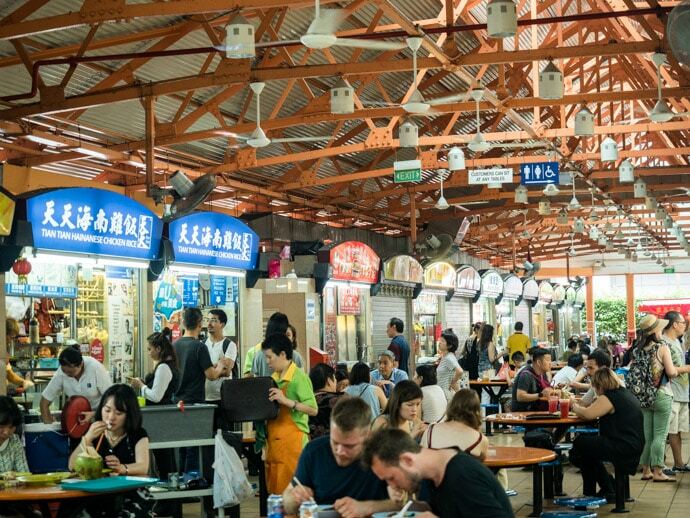 Sure they have a million tasty cafes and world-renowned restaurants, but it’s the hawker centres in Singapore that I think captures the essence of Singapore. 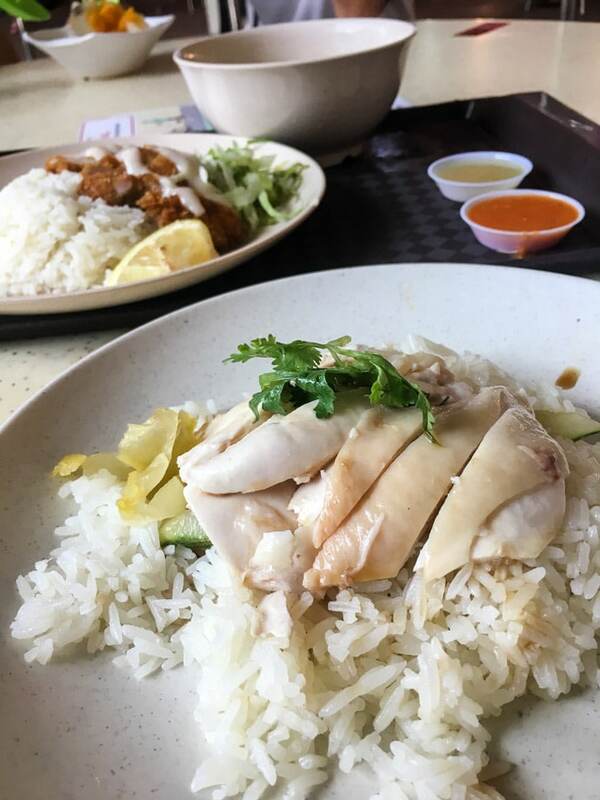 Hawker food is food sold at hawker centres, and hawker centres are essentially street food stalls that specialise in a dish or cuisine that are housed in a centre together, mainly in an effort to increase hygiene. Best of all it means all the best Singapore street food is easier to find! 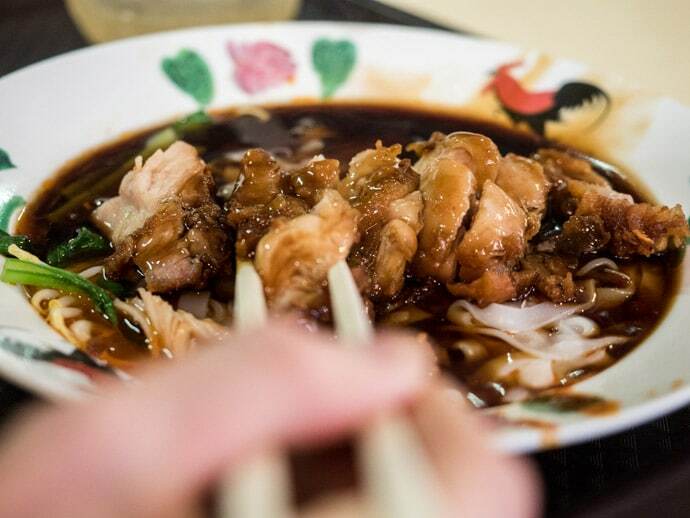 So get your appetite ready and get tasting your way through our favourite hawker centres in Singapore and the best hawker food we have tried. Please see our free printable Hawker Centres In Singapore and What To Eat list at the end of this article. 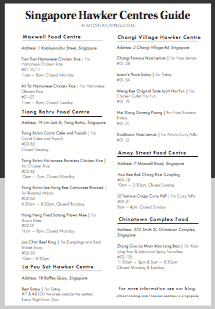 It has all the places listed below so you can download it or print it out, and take it with you so you don’t forget the best hawker food to eat in Singapore. 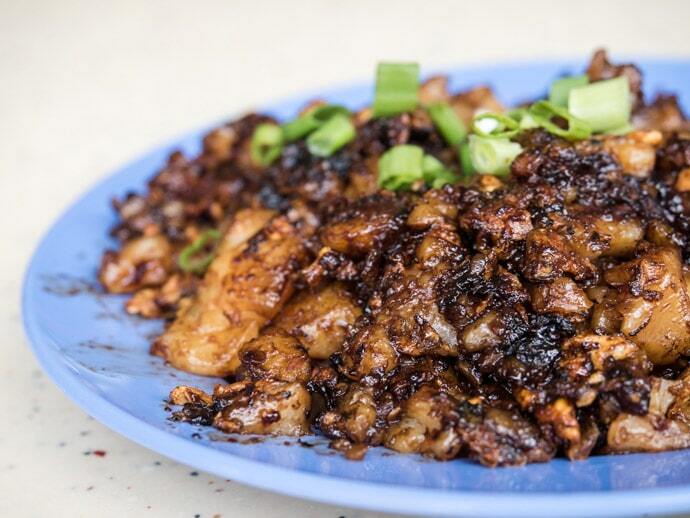 Maxwell Road Hawker Centre is one of our absolute favourite hawker centres in Singapore. 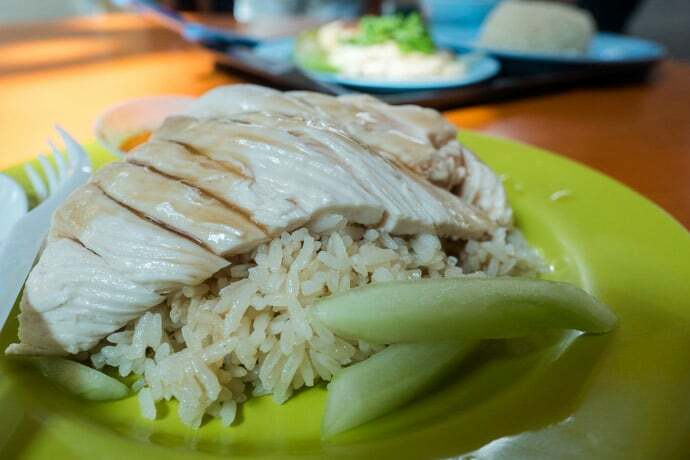 It’s home to some famous stalls including Tian Tian Hainanese Chicken Rice, which definitely lives up to its reputation. Super tender chicken and fragrant rice that goes perfectly with the chicken and the sauces that come with it (a dark sauce and a chilli sauce). 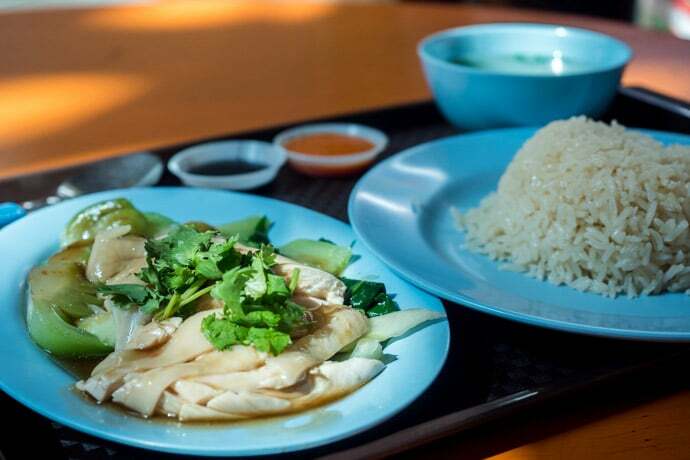 There is also another stall, Ah Tai Hainanese Chicken Rice, whose chef is actually from the original Tian Tian Chicken rice and I think it’s just as good. If there’s roti, then I’m going to love it, so I also love the Roti stall here. On our last trip to Maxwell Food Centre, the roti was not as good as it had been though. One of my staples which you can get at most hawker centres is an ice milo. It’s simple and delicious. You can also venture for the milo dinosaur (extra spoonfuls of milo on top) or the Milo Godzilla (add ice cream), but I like the classic… and it also makes me feel less guilty about getting one every day. Another great thing about this hawker centre is it’s location, right in Chinatown. So it’s super easy to get to and I’m sure you will be in the area on your holiday anyway. After spending 2 weeks in Tiong Bahru and visiting almost every day, it’s definitely one of the best hawker centres in Singapore and one I can highly recommend. 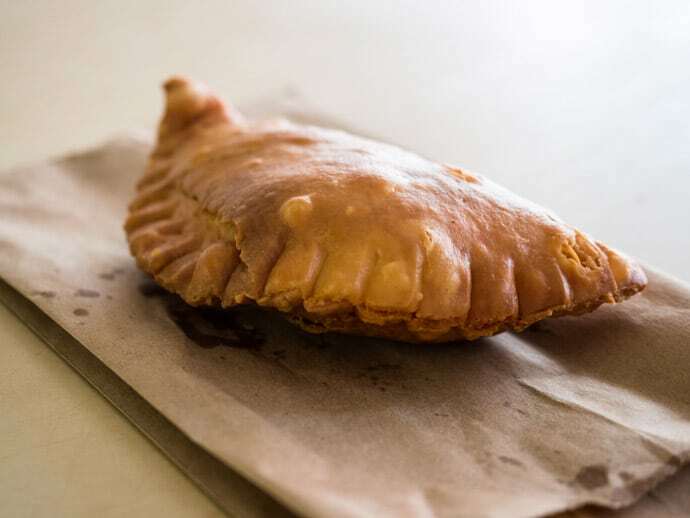 Tiong Bahru may not be a neighbourhood you stumble across on your holiday but it’s close to the city centre and worth the visit for more reasons than just the hawker centre. Some of my favourite picks here are the Chicken Rice (steamed, roasted and lemon chicken are all great), carrot cake (not the sweet treat type you would have with a coffee, it gets its name from using white radish aka white carrot), prawn mee, dumplings, roasted meats and even beef brisket soups… and an ice milo to wash it down. The fried kway teow here is a good example the famed dish too. Tiong Bahru hawker centre is worth a visit. Take a look at the centre’s really helpful interactive map that has every stall listed with individual hawker stall opening hours. Ah, how I love Changi. This area is such a beautiful tranquil spot, which is strange being so close to the airport. You have a beach, beautiful green park with walkways, traditional bumboats, people fishing, and you can even watch the planes fly overhead from the park. I digress. Changi hawker village has such a lively buzz about it, and of course, delicious food. It may seem out of the way but it’s perfect to combine a visit here with a trip to Pulau Ubin, the nearby island. 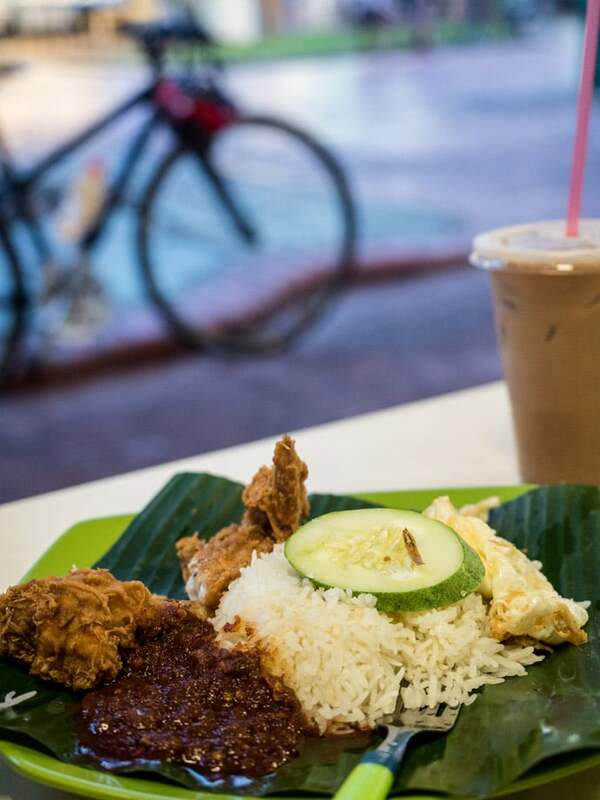 Nasi Lamak is a very popular dish here with many stands offering it, but we loved the nasi lamak from Changi Famous Nasi Lemak. Ipor Hor Fun is another popular dish which I liked, along with the satay from Jason’s Place which comes with your choice of meat, cucumber, onion and a delicious dipping sauce. 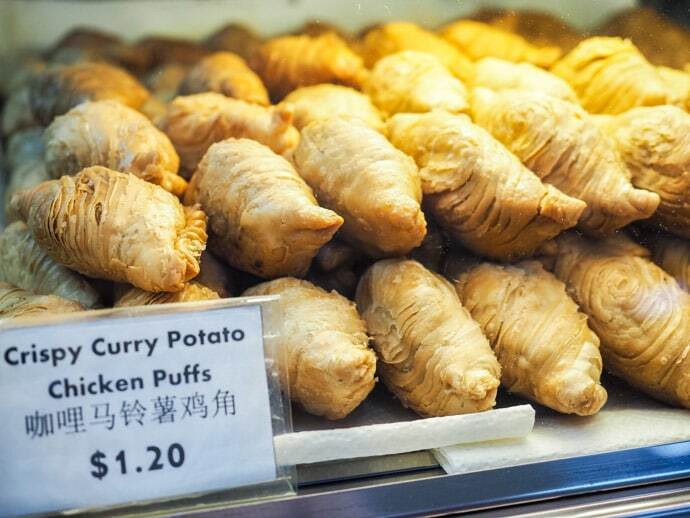 We struggled to go past the $1 potato curry puffs which were a perfect snack from Traditional Nasi Lemak. And the one that got away was Dam Biriyani, that apparently has a 56 year old recipe, but after the first few times I went there, I finally decided to get it, and it was unfortunately shut each subsequent time I went back. It looked and smelled delicious though. The carrot cake from Changi Village Carrot Cake is also meant to be a great version. 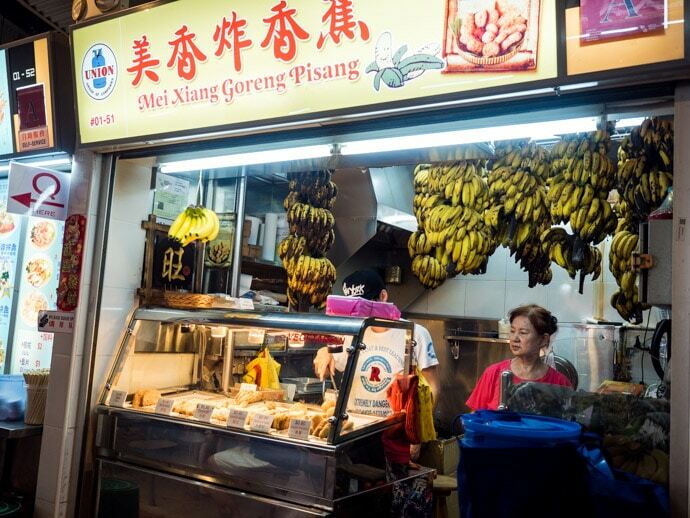 Another one of our favourite hawker centres in Singapore. 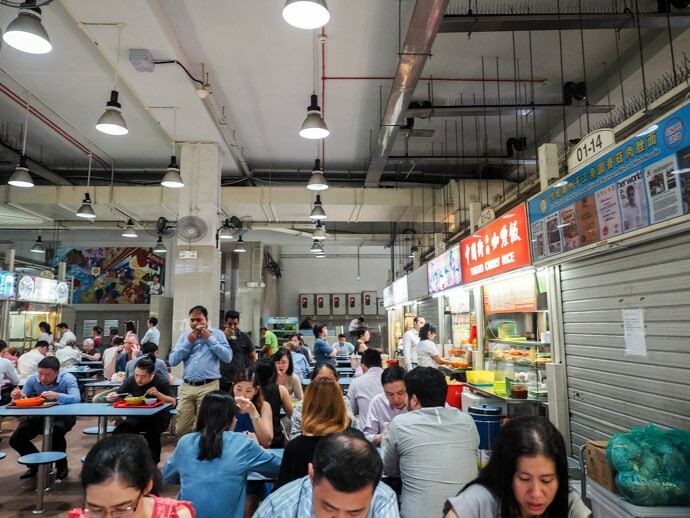 A great hawker centre right in the city centre, Lau Pa Sat is one we keep going back to. It has a string of satay stands outside that are great, and a wide range of choices inside and is open 24 hours (some stalls). 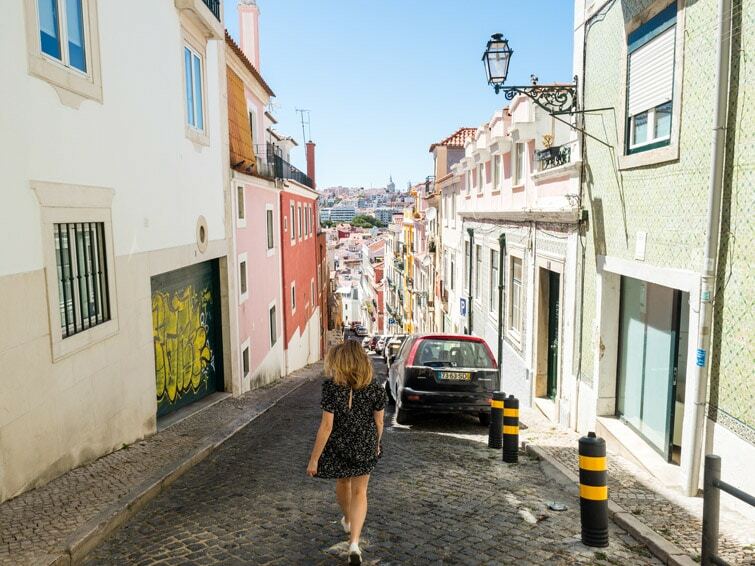 I love the atmosphere here and the location makes it an easy one to fit into your holiday. 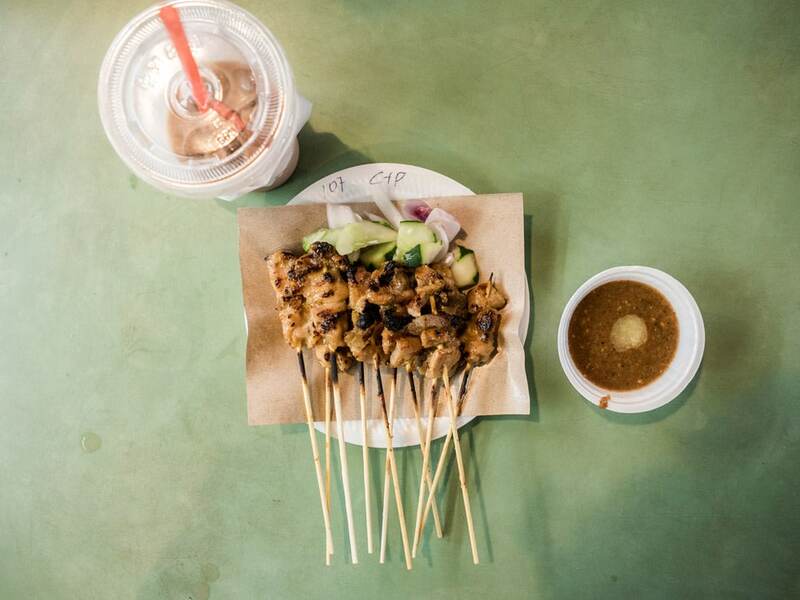 The reason we love Lau Pa Sat hawker centre is for the satay (night time only). One of the streets outside is closed to traffic at night and transformed into a delicious satay street. We loved Amoy. 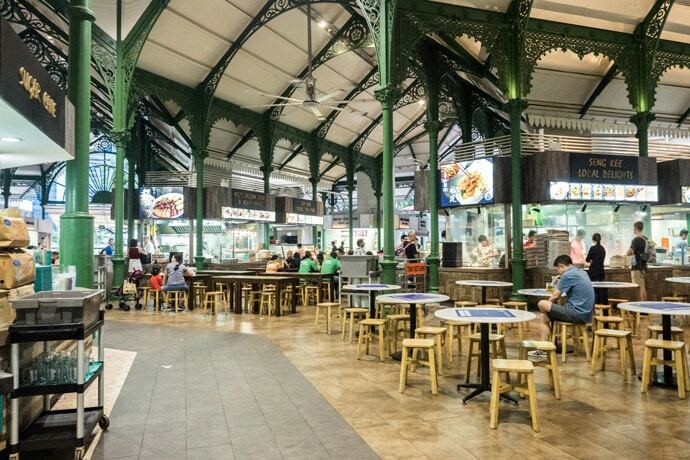 It is one of the bigger hawker centres in Singapore and had a large variety of cuisines. 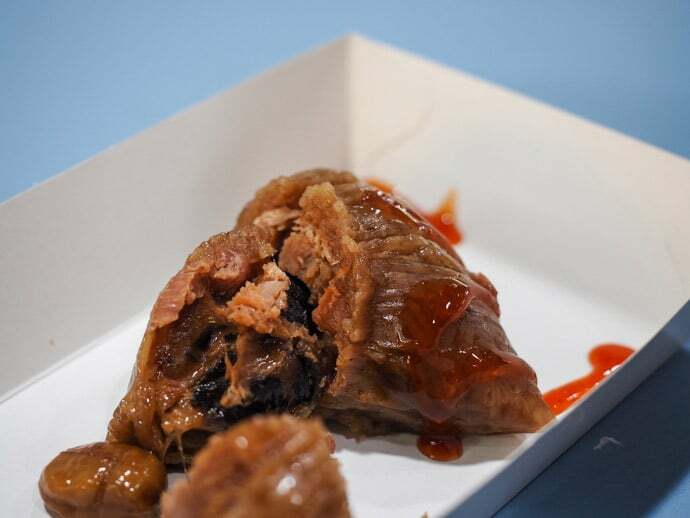 The glutinous rice dumplings from Hoo Kee Bak Chang were really nice and if you are in the mood for the flakiest curry puff possible then look no further than J2 Famous Crispy Curry Puff. This hawker centre is on the more rustic side when compared to some others in Singapore. 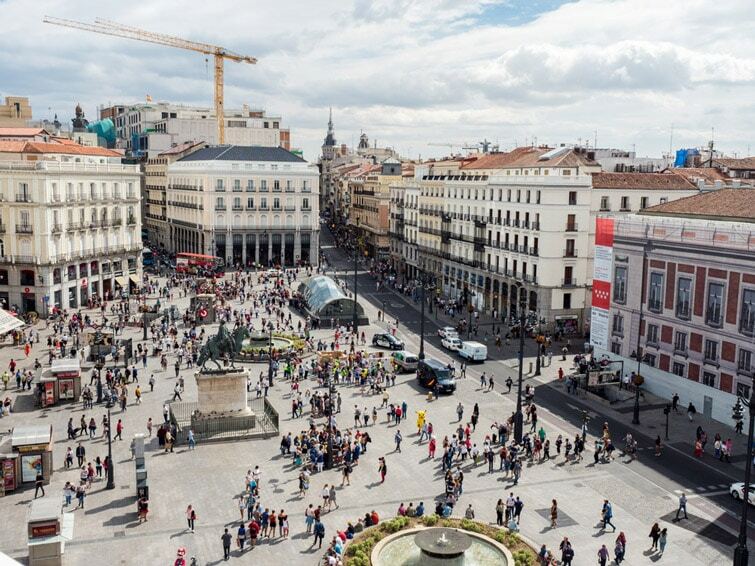 It is also huge and easy to get overwhelmed and disorientated. We have only been here once and had three places we wanted to try, but only one was open. 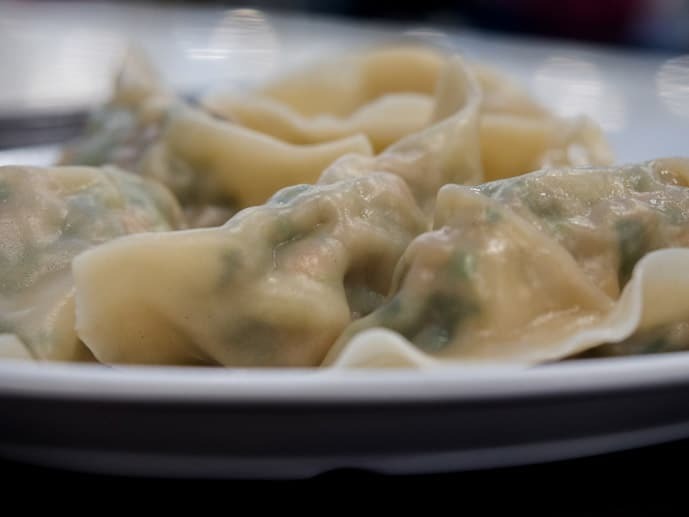 Zhong Guo La Mian Xiao Long Bao. After a chat with a local Singaporean lady in the line, we were told to order the Xiao Long Bao and Szechuan spicy noodles. Both were absolutely delicious so definitely order these dishes if you are in this hawker centre in Singapore. 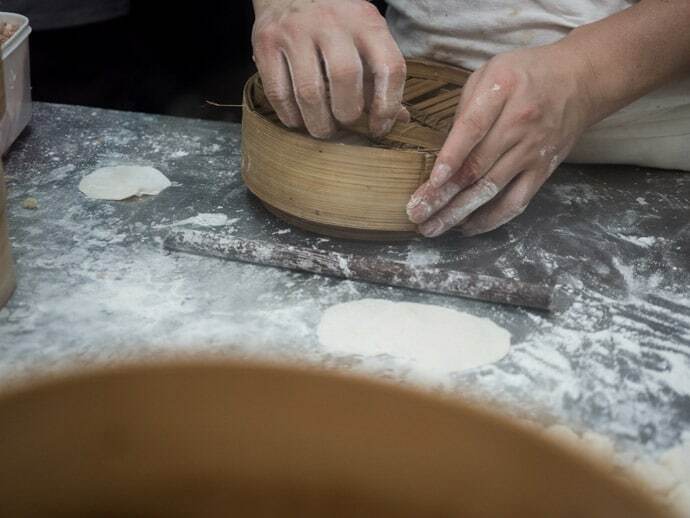 We did have to wait for a little for these, but watching the cute dumplings being expertly crafted in front of our eyes was almost therapeutic. There Are So Many Hawker Centres In Singapore! 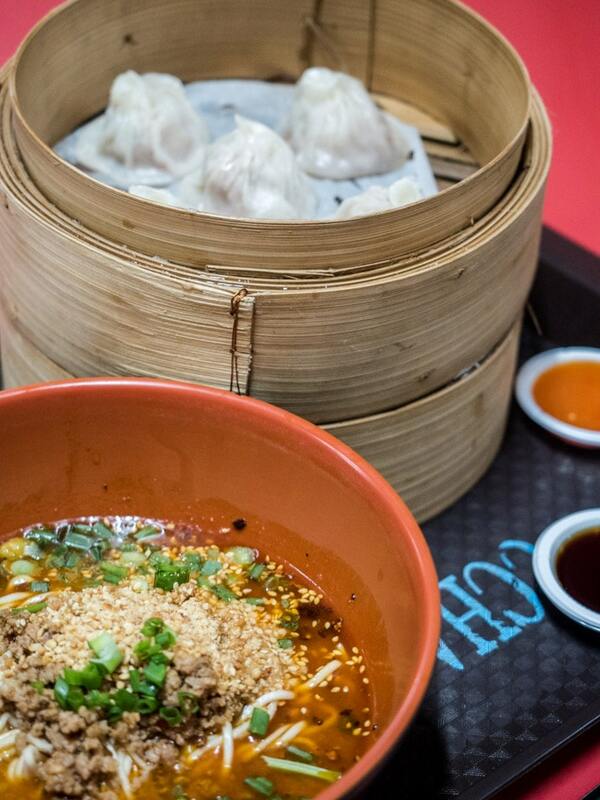 So these are our favourites that we’ve tasted during many trips to Singapore, always on a mission to find the best hawker centre in Singapore. There are so many hawker centres in Singapore (over 100) so we have not even scratched the surface. That said, we have done extensive eating and research and feel this list is a great place to start your Singapore hawker food journey. 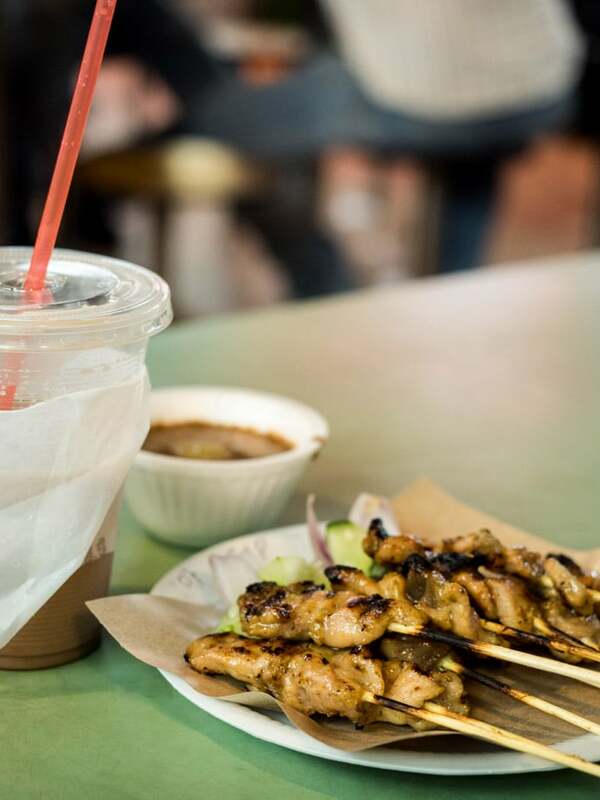 Consider this our Singapore hawker centre guide to help you experience an aspect of Singaporean life that is definitely not to be missed when in Singapore. 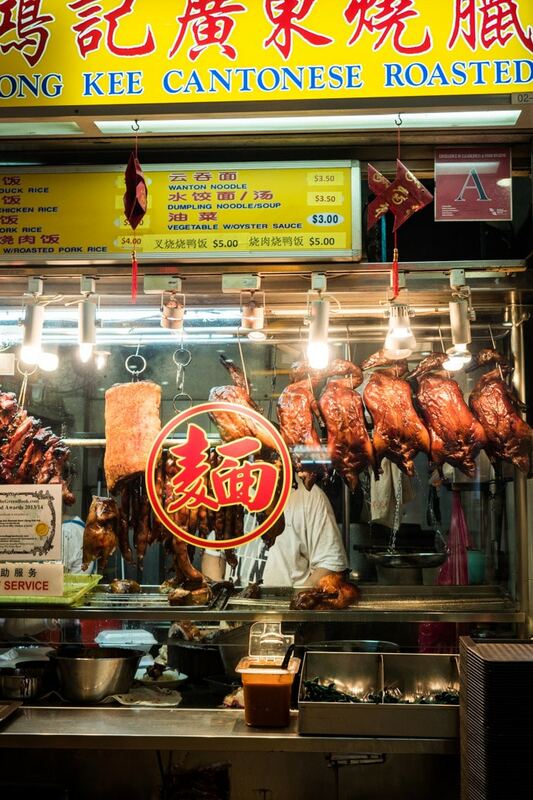 Get your free printable Singapore Hawker Centres Guide here. 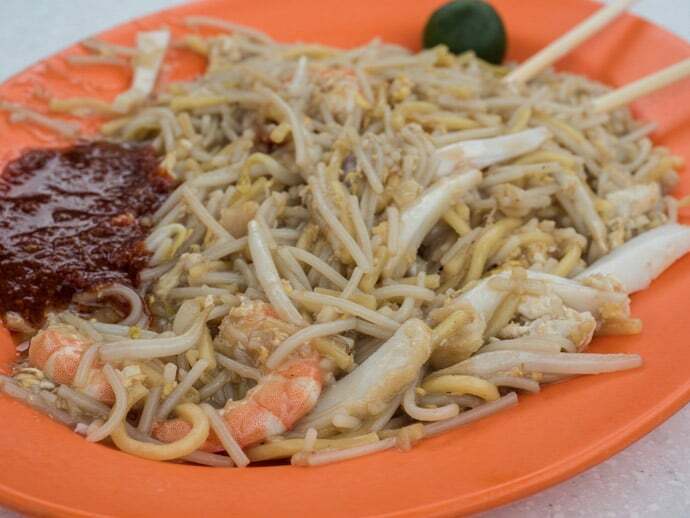 What are your favourite Hawker centres in Singapore? Do you have a favourite dish?